December 4, 2017 November 30, 2017 by Christina - Wear Out There, posted in Adventures Owning a Home. Meal planning is a vital skill, yet not always easy to master. My boyfriend and I have been homeowners for over a month now and our grocery bills have certainly increased! We’ve been spending our evenings and weekends tackling small home renovation projects (more to come on the blog soon) so preparing a healthy dinner hasn’t always been the priority. I know how important this is though, not only for our budget but for our overall wellness too. Here are a few tips and tricks that I’ve been using the past little while that seem to be working well for us. After coming home from work, the last thing I feel like doing (most of the time) is thinking about what to make for dinner. This tip eliminates that need to think by planning a menu in advance. Every weekend, I write the menu for the week on our menu board, including the cookbook page number if applicable. By doing this, we’re able to see what meat we need to pull out of the freezer and any other preparation we may need to do in advance. As an added bonus, if my boyfriend gets home from work before me, he knows what to start for dinner. To create the menu board, I simply bought an 8×10 frame and printed off this free menu from blogger The Creative Index. I love it! It’s easy to use, looks great and wipes off easily when you use an erasable marker. If you don’t like this design, I came across Fab n’ Free’s amazing blog with tons of free options. When I started to meal prep, I found I would plan our meals as follows: meat, vegetable, starch, repeat. This is certainly a fine way to eat, but it wasn’t very interesting. I started to combine items in meals by looking at recipes and that’s when cooking got much more enjoyable. I tend to plan for a few meatless dinner meals every week, a leftover night, a casual (quick) dinner and a chicken and beef option. I’ve also found some great cookbooks hat provide quick recipe options for busy weeknights. Do you receive a lot of flyers? We do and while they used to go straight into the recycling bin, or were used to protect surfaces from paint splatters, I read them now and use them in my meal planning. What meat is on sale? Is pasta on for a good price? Over the weeks, we’ve built up our pantry and freezer with items on sale. This means that many of the key ingredients we use over and over, we already own. To easily search items in flyers in our community, I use the Flipp app. You can type in an item like “eggs” and it will search all the flyers and pull up where it’s on sale. You can add coupons in the app and show items at the register for price matching. With our basics covered, I try to limit the number of items we need to purchase each week that are not on sale. As a meal planning technique, I prefer to work backwards. I see what needs to be used up in the fridge and plan our meals around these ingredients. I also try to include meals that use some of the same items in other recipes so nothing goes to waste. This is just one technique though. There are many others – like cooking everything for the week on the weekend and freezing in batches, choosing theme nights, etc. This blog post digs deep into the various options and is worth a read. I am a huge fan of Pinterest. I use the platform with my style coaching clients and personally find it’s a wonderful way to explore different topics. Meal planning is no different. While watching my favourite show, or simply relaxing on the weekend, I regularly ‘pin’ recipes I would like to try. This is helping expand my cooking repertoire and is also a great way to start a conversation with my boyfriend on foods he would like to include in our menu. This is helpful, particularly for finding beginner recipes that include exotic foods. Have you used any of the above apps to help with meal planning? What works for you? We would love to hear! Comment below. July 22, 2013 November 13, 2017 by Christina - Wear Out There, posted in Tips and Tricks, Take Your Look to the Next Level. We’re not born knowing how to socialize correctly in public situations. Largely, we take on the mannerisms of our parents, who teach us how to talk, share, and become good citizens of the world. As society becomes less and less formal however (lol’s, and emoticons anyone? ), there are fewer opportunities to practice the skills that speak of refinement and class. That said, there has never been a time where social etiquette and first impressions meant more than in today’s day and age. It is truly refreshing to find someone who makes those around them feel comfortable and at ease during interactions. That’s what elegance means to me. 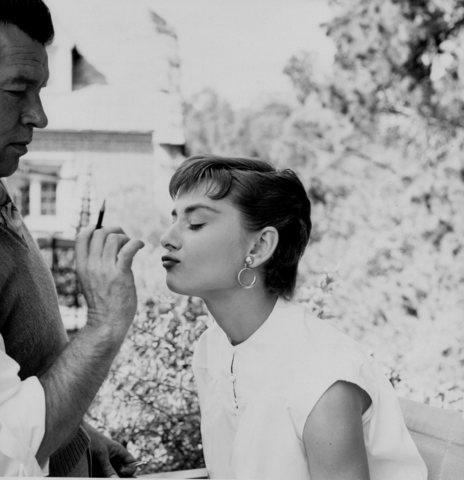 So today readers , we take a page from Audrey Hepburn’s “How to be Lovely: The Audrey Hepburn Way of Life ” as she was not only a style beacon but a truly elegant spirit. 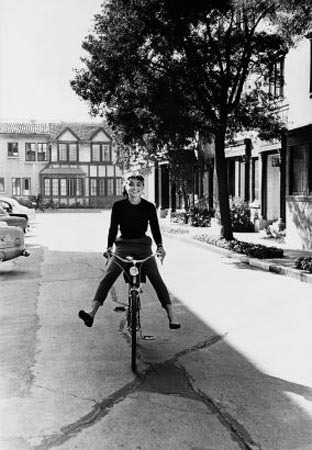 No one was more charming, graceful, elegant or wise than this fair lady. 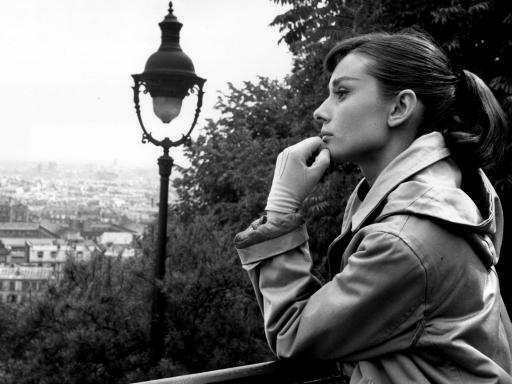 While few of us actually met Audrey Hepburn, we met her characters – Eliza Doolittle, Princess Ann, Sabrina, and who could forget, Holly Golightly. Both in character and in reality she represented all that a women could be. Years later, we remember her fondly as she continues to inspire us to become the best versions of ourselves. With some tweaking for modern times, and situations, we can still apply many of Audrey Hepburn’s teachings when guiding our own lives. Smile. Smile at those you know and smile at those you’ve just met. If you look happy and inviting, people are much more likely to approach you to engage in conversation. It’s ok to check your smart phone every once in a while, but don’t use it as a safety net. An interesting individual may not approach you if they think you are busy. Compliment others. A simple “I like your dress,” or “nice tie, buddy,” will go a long way in helping you create positive interactions. Always say please and thank you. Nothing is simpler or more polite than using your basic manners. Admit when you’re wrong. There are times your facts may not be entirely correct. Admit this. You can learn as much from others as they can from you. Engage with everyone in a group. Don’t exclude someone from the conversation. Try your best to find common topics of interest. Remember people’s names. This is truly a challenge for me, especially when networking, and meeting many new faces at once. If you can master this task however, it is a simple skill that will truly go a long way. Be sensitive to others points of view. Even if you have a strong opinion on a topic, make your case in a constructive manner that doesn’t overpower the other person. Return phone calls and emails within twenty-four hours. In fact, send a “nice to meet you” message to new acquaintance’s within twenty-four hours through email or a social media platform such as LinkedIn. This is particularly important for relationships you wish to cultivate in the future. Having good etiquette is timeless and will never go out of style. I urge you readers to take these tips and incorporate them into your daily lives. 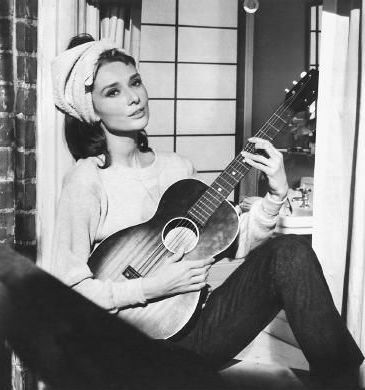 Can you think of a modern-day Audrey Hepburn? I would have to argue Kate Middleton is currently society’s beacon for style, grace, elegance, and class. I mean, she is a duchess right?! Other thoughts?